I love you all so much and appreciate you. Just wanted to say that first. Big hugs all around! So many of you have emailed me or left blog comments lately saying that you’re praying for me and my family. THANK YOU. We sure need it, and I want to thank you for that. Since I’m overdue for giving you a ministry update anyway, I wanted to provide you with an update today and ask for your prayers regarding some specific things. I hope you don’t mind? Will you lift us up in prayer? January and February were challenging months for me personally due to the birth of our son on Christmas Eve, but the Lord worked mightily through this blog to draw people to Himself anyway. In January and February, we saw 159,601 and 152,393 pageviews per month on this blog, respectively. I thank God for every one of those opportunities to reach people for Him. We launched our new blog, Over Not Under, which is all about health, wealth, home, and motivation. Most of the posts that are up so far on that blog are about Biblical finance, and they even include prophetic words and teachings! Please check out Over Not Under if you haven’t already done so. The Lord has been sitting on me heavily for this project, and I believe it will bless you. 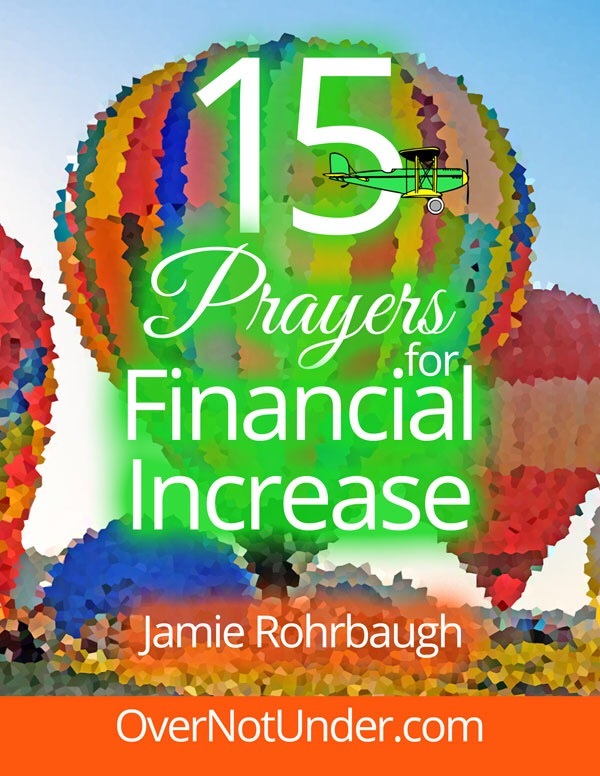 I also released my new, FREE ebook, 15 Prayers for Financial Increase. The material in this ebook is not available anywhere else, and the ebook itself is available free to everyone who signs up for free email updates from Over Not Under. That ebook was a labor of love that took months to write, and it’s already been distributed free to over 1,000 people! We’re already getting testimonies from Papa’s answers to the prayers in that book, too. Glory! I spent quite a bit of time the last couple of months organizing the Rosh Hashanah Inner-Healing and Vision-Getting Retreat as well. And yes, THE RETREAT IS ON! Please come and join us September 9-12 in Cleveland, Tennessee. It’s going to be so powerful. We also hosted two webinar/ministry times about healing from father issues. These were incredibly powerful, and many people were healed and set free. I also did quite a bit of mentoring; some volunteering to help local pastors and also serving in my local church; and spent a significant amount of time dealing with year-end accounting and federal and state reporting/tax issues. … is that we received a ton of testimonies about how the Lord used this blog to bless and equip people. Pick a post, any post with comments, and you’ll read incredible testimonies of the Lord’s work. I am so grateful. We are really focusing on discipleship and mentoring this year, so it warms my heart to see what Papa is doing. 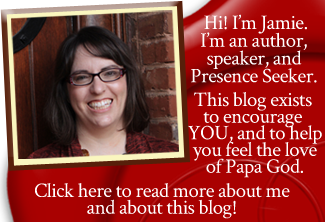 We also hired a virtual assistant a couple of months ago to help with Pinterest. Pinterest is a big job, and we get a lot of readers from there. But it’s been hard for me to keep up with because it has to be done every day, consistently. Our new virtual assistant is a retired pastor’s wife who loves the opportunity to participate in ministry online, and she’s doing a fabulous job. Our Pinterest traffic is up and it’s a huge amount of stress off me. Thank You, Lord! I’ll share ministry prayer requests first, then personal ones. Ask the Lord to get this blog and all our materials to the right people, in the right place, at the right time for Him to use these resources powerfully in their lives. Specifically, pray for blog readership to expand to over 10,000 pageviews per day. We have over 10,000 people on our email subscription list, and I’d like to see every one of you engaged and reading the blog. Pray for protection of our websites and social media accounts. Ask the Lord to bring all the people to OverNotUnder.com who will be blessed by teaching about practical life. Also, pray for our finances. The Lord has always provided, but it definitely takes prayer on our part. We are living by faith. Our expenses are growing as our readership is really expanding rapidly. I have to admit I got scared when we hired an assistant and started having to pay payroll taxes. Both of those things are new territory for us. But fear is never from the Lord. So I’ve been soaking in God’s perfect love, which casts out fear, and throwing myself on His grace every day. And He is providing, of course … and He’s healing my heart deeper, in a new way that I didn’t even know I needed. Anyway, it’s astounding how much God uses each of you to answer our prayers. Your donations, partnerships, and product purchases are always timely, and God uses you to meet the needs of this ministry. He has never let us down, not once. He’s tested our faith a few times, for sure … but He has never failed us and never will. I shared a photo of him recently over in our free Facebook group, Presence Seekers Soaring. If you want to join us over there and check it out, you’d be welcome. Friends, we are really grateful for everything God has done in our lives, and for everything (and everyone) He has given us. We really are. Nevertheless, I am just going through a hard time right now. I’m nursing the baby 8-10 hours per day, and sometimes more. He cluster-feeds, meaning he eats often. And for long periods of time. And he screams and screams if he doesn’t get enough. So I put my computer on the other side of him and try to feed him with one hand and type with the other hand. I love my baby more than words could say. I’m so grateful for him. But it’s just a hard adjustment. I’m also in a lot of pain. My c-section incision had still not closed as of a week ago (11 weeks post-op); I’m not sure how it’s doing today. My doctor also told me I have a sprained ligament in my pelvis, which explains why I was in so much pain during the last few months of pregnancy and am still in pain today. He gave me a brace that I’m supposed to wear for 90 days. And, I still have stress fractures in my leg from when I was pregnant. And then of course, there is the sleeplessness that comes with having a newborn baby. So I need God’s help. I throw myself on His grace every single day. I plead for His help, and He helps. He has always been faithful, even when I’m hurting or crying or going through a hard time in general. He is here for us always. And He always answers our prayer. For me to keep my eyes on Jesus and fix my eyes on things above, even when things feel discouraging sometimes right now. For me to see everything with a heavenly perspective. For the Lord to open up more windows of time in which I can work (e.g. baby’s naps during the day), and wisdom to recognize them when they come. Pray for our son Elijah’s health and safety. For our baby to sleep well at night, so my husband and I can sleep. For healing of my body: healing of the sprained ligament, healing of the c-section incision, and healing of the stress fractures. For Elijah to become a very efficient eater, so that nursing him doesn’t take up quiiiiiite so much of the day. For me to have wisdom and revelation as I spend time with the Lord and try to write and teach each day. For a new-to-us, paid-for vehicle to replace my husband’s car. It’s a 2000 Toyota Solara with about 250,000 miles on it. It needs to be replaced badly. We are saving up, but we need the Lord’s help. Last but not least, please also pray for my mom. She has another broken vertebra in her back and is in debilitating pain. She’s currently staying with us, but will be traveling back to her home in the next few days and will see a spinal specialist shortly. Please pray for her safety and healing. Beloved friends, I love you all. I wish I knew you all personally. I wish that all the thousands of us could get together and have a big group hug. Maybe we can in Heaven. But until then, please know that I pray for you daily. I pray for your relationship with the Lord; for your finances; for your marriages and jobs and blessings. I love you all so much. I’m so grateful for you–for your reading, for your comments, for your emails and letters and help. I’m in tears writing this. I love you all very much, and thank you for who you are and what you do. God bless you and your body and your finances from head to toe. Remember psalm 91!! Thanks so much for sharing so honestly… I have just prayed over those points.. And feel to remind you that Abba sings His song of perfect Love over you and surrounds you with songs of deliverance from ALL that the enemy is trying to do to discourage you from making the HUGE impact which you are doing in CHRIST’s strength, for raising up loving, worshipping warrior brides for Him and generally extending the Kingdom of Heaven. Thank you for all the good you send out, especially in your specific need prayers. May God touch you in all the areas that you need to be healed and may he bless and comfort you and your newborn, In Jesus’ name. Be blessed beautiful woman of God you name your family in Jesus mighty name? Covering you, your husband, beloved baby and Mom with Gods healing prayers as He wraps His wings of Goodness, Mercies, Graces and LOVE far beyond what you can imagine?? ?✝️ At all times of the day and night!!! Blessing upon blessing, hugs and love,??? Oh Jamie, I will gladly lift you up in prayer! I will also give you a little advice from an old grandma who had two c-sections and breastfed. In the early months, the mission field is your baby. They demand it. Try not to be so hard on yourself for needing rest. This time will pass so quickly and baby Elijah won’t need you as desperately as he appears to now. You are an awesome, awesome person and this is but a small blip in the journey. Give yourself a big hug and try to relax. We all love you and your family so! Don’t burn yourself out. Amen Sandy. I was searching and hoping someone had given our Jamie that advice. I only have one grandchild at the moment but I do recall when I felt like a lactating cow the first months my children were born. I could plan very little because the babies demanded to be fed. I will however add a bit of advice to your wise words. Please nap when baby Elijah naps. You might not know it but your body is crying out for it as well. Sleep is where our bodies heal themselves but if we use nap time to catch up, we end up having to spend some time in a hospital room getting that oh so necessary rest. Sandy is so spot on. Baby Elijah will be discovering his world very soon and you will need that energy chasing after him. Right now while he rests,(there is a reason why babies sleep so much) you rest your bruised body as well. Rest knowing that we’ve got your back. Good point Sandy. How about we officially give Jamie a maternity leave. Not that she will no longer post, but that she won’t be expected to…. say for the next two months. I won’t be surprised if our avalanche of love and prayers will restore her fully before June. And as in the workplace, where salary doesn’t cease during maternity leave… financial support/partnership with Jamie should not slow down in the event she decides to take a form of leave. LOVE THIS!! and wholeheartedly agree!! Brother John, I appreciate you. Your kind words lifted my day. Thank you. I really appreciate it. Hi Jaimie, I have to agree with this thread. I immediately felt that your need in this season was rest, to give your body, mind and soul an opportunity to regroup, regenerate and rejoice in the birth of your baby. I also felt when praying for little Elijah’s eating habits, that there was a disconnect between his stomach and his brain recognizing satiety. I saw a something like a thread running from his belly to his brain so I prayed for this connection to be whole. The Holy Spirit will confirm in you if this is accurate. God bless you and rest in the Lord. Hi, Jaime God bless you and your family. May God’s healing power, His gracious blessings envelop you and family. Amen. Hi Jamie! I iust wanted to reach out to you and encourage you regarding new mommy stuff.? I know exactly what you’re going thru. My son is now 19 months old…but I had an emergency csection after 24 hrs of med free labor…I nursed him til he was 12 mos because he had severe acid reflux and nursing soothed him in between his 2 hour feedings. And I also fell during my pregnancy which triggered the pelvic/ligament sprain…I could barley walk or sit longer than 30 minutes before gripping pain or a stiffened back. I had a hard time trying to understand the difficutly of my pre and postpartum challenges, especially when he was our promised child. Nevertheless, he’s now walking, babbling and just started toddler day school where he adjusted with ease. Im able to workout again and my mind has been freed from all anxiety that came with the pregnancy and delivery. So just stay encouraged and try to find a peaceful thing to focus on when you feel stress. Also, get a little time for yyourself everyday even if its just 15 minutes on the back porch? Praying all your prayer requests. I am so sorry to hear of your pain. Lifting you and your family up to Jehovah Rapha right now. May GOD continue to grant you favor. Many blessings upon you and your family. You are always in my prayers. Hi Jamie, I will you, your husband and Baby Elijiah and all your needs in my daily prayers. I love you too, and always look forward to your emails and posts. God Bless You precious Servant of Christ. Love the great updates on your ministry and am praying for those needs and all your personal needs as well. When one member of the body suffers, hurts, WE ALL SUFFER, HURT. Am reminded of the scripture that every valley be exalted, every mtn. & hill be made low, and “the rough places made smooth”…and the glory of the Lord be revealed. Also, the scripture “Say to the righteous that it shall be well with them for they shall eat the fruit of their doings.” (These might be slightly paraphrased scriptures). Believing for the exceeding greatness of power that is toward you and the exceeding greatness of His power that is in you and the quickening words that are spirit and life to be released in their fullness into your body and your mom’s in Jesus name. Amen and Amen. He will perfect that which concerns you and baby Elijah concerns you too. Looking forward to some glorious testimonies. This is my prayer for you, Jamie. Be at peace, and may your whole household bathe in His presence. Jamie i will be writing down your prayer requests and praying as you ALWAYS pray for us.. .you are a WONDERFUL woman of God and I am sure Jesus is VERY PROUD of all you do and the mommy you’ve become!!! God Bless you, your husband and you SWEET, PRECIOUS Baby!!! Also, prayers going out to your mom!!! Hello Jamie, It is such a comfort to know Jesus is with us during these difficult times when we feel overwhelmed. And, what a blessing that our brothers and sisters in Christ can hold us up in prayer. I love you and will pray for all your requests. Be blessed and rest!! I release into your life a heavenly upgrade that will sustain you in these hours and draw you to reach even higher for that which your heart longs for . Peace and beautiful restful sleep ?. Hi Jamie..I want to encourage you to really take this time to focus on your healing and the baby ..as a mother of 6 (set of twins) I learned that o could not be all things to everyone and that I didn’t have to try and be SuperWoman! Wisdom for you say slow down or put ministry aside for a little while ..your family is your 1st ministry ..you are worth having a”`season of rest” so that you can be better for everyone in the long run..not to mention your husband needs some attention to and time to just bond with you..I am praying for friends and family to come.and help you and i pray that you will ALLOW them and to trust them with the baby..or even if someone could type for you as you speak out loud ..or possibly clean and do laundry for you..just be OPEN because you will feel better once others come in and lighten your load( less stress)..praying that you have PEACE, Rest, and Clarity .❤. Amen! I have prayed for your requests and am in agreement with my sisters in Christ in their prayers. A special blessing upon you and yours, in Jesus’ name. From our hearts to the Lord’s ears, you are healed. We pray for multiplication of good things in your life including finances. We believe that granny will be completely healed and free from pain. Your csection will turn into a good remind of how precious your baby is as a gift from Good, we pray for lesser screams and that he feeds well and in all that you are blessed with the rest you deserve. May the Lord grant you patience, strength and cover you from all stress that comes with nursing for long hours. More than anything, we pray that He provides further assistance with regards to taking care of the baby. As we pray for abundance, He says in His word that whatever we ask for in His name shall be given. We pray that your car is replaced sooner than later so that you can go around freely doing His ministry. We love you, we love your blog, we appreciate the contribution it’s making in our lives and we pray that it continues to grow as we also grow big time from it. Blessings to you dear one! I’ve been praying as you requested with full confidence that He who is faithful will complete that which He started in you and will perfect all that concerns you! I have a grandson named Elijah who is five and another grandson, Olli, who is 7 months! The enemy shall have no place in these precious vessels who were ordained to walk with the Spirit of God in their generation! Your Elijah will continue to grow strong and healthy in spite of what the enemy has tried to do! I also can relate to the delayed healing of a C-section scar! I burst mine open twice after I had my twins. But I know from experience, you will look back on these days and see how amazingly Father brought you through the tough times! He really is a good good Father! On that and much, much more, we can rely! Dear heavenly father, we come before your throne with thanks giving in our hearts! We bless your holy name oh Lord! Knowing that you are the only sovereign God! You are omnipresent, omniscient omnipotent You Oh Lord have declared with your word that our bodies are the temple of the living God! I pray Oh Lord and Master, work through Jamie,s home and her ministry , her business with your covering ,uproot & remove everything any obstacles or hindrances that are not of you, cast them out of their lives father, obliterate them, Oh Lord ! let you glory abound! Lord I speak a special anointing, favour over her life, family, divine healing upon her, her mom, her baby Elija,” children are special gift from you our father” upon her ! Outpouring of Financial blessings to carry their divine purpose her & her team, provide for them for all their needs to enable them to spread the gospel of God and win souls for the kingdom! Heaven and earth shall pass away, but your word shall not pass away,,Matthew 24v 35! Your plans oh Master are to prosper us to give us hope and the future! Psalm 29v 11 thanking for giving us that pertains to life and Godiness! You are Oh Lord our Shepherd and we shall not want! Thank you for hearing our praying and we know that we shall what we ask! In the powerful name of our Lord and saviour Jesus Christ! Jamie be of good courage! God heard your cry and has answered you. To God be the Glory!!! Be completely healed and made whole. May all your heart desires be granted by God today.Amen. Hi Jamie, I always amazed at how you can be a tremendous blessing through your writings and yet be going though so much. You are an awesome woman of God and much stronger than you think. The bible says that the Lord will perfect all that concerns you. And so we thank God in advance for answered prayers for you, your baby, your finances , your husband, a new vehicle and healing for your mother in Jesus name. I prayed for you and your family Jamie….that the Lord will send his healing angel with healing oil and pour it out on you from head to toe. Experience supernatural healing in the name of Jesus. I pray for your baby that he will feed at set times and that he will grow strong. I ask Father to bless you and your ministry bountifully! Amen. Praying for you, your ministry and your baby Elijah! May the Lord help you, heal you and provide for all your needs. Let there be more than enough at all times! Our good Father will surely do it for you since you are so beloved to Him!!! Jamie, I am standing in agreement with you for everything you are asking God to do in your life. You have been so faithful to Him and to thousands like me. As I write this, God has just answered one of the prayers for my marriage that led me to you to begin with! I know more answers are on the way and I know He is already meeting every one of your needs. Stay in the War Room. We are going to storm Heaven’s gates on your behalf. In Jesus’ name. Praise the Lord, Sister Jamie! I prayed for you as you . I feel lead to share something with you. You stated that you are in pain, nursing a new born, caring for your Mom etc. Sometimes we need REST! On last night I went to a Women Conference. I heard a message taught by Dr.Cynthia Hale If I could get it to you I would . The message sent from heaven was about the importance of REST! As women we sometimes attempt to be everything to everybody because of how we are designed. However you need a break from the routine. The message came out Genesis 1: 31 through Genesis 2 : 1-3 , Mark 6:30 read it when you get some time. In praying for you. Breathe Sister Jamie!! God. loves you. Papa hears you and he knows! May God continue to shield you and your family from harm’s way. May he supply for all your needs in Jesus name. I speak good health upon you and baby Elijah. Please know that I’m not a responder to blogs but after reading ur prayer requests I wanted to encourage you a little. I found your website during This time and I have to say that it has blessed and encouraged me greatly-thank you! I know what your enduring now will be the pressures that produce the gold in your life for future material. All you glean and gather from this season you will o give back to your subscribers in the form of revelation and encouragement. Pain has it’s purpose and once it’s done working out character HE steps in. I am excited for you , I am praying for you, and believing for complete timing of His plan for your life.i know His grace is sufficient . Thankyou Jamie for sharing so openly with us and giving us a chance to pray specifically for you. Let Abba Father ever deepen your experience of Victory and deep Shalom in Him in each of these prayer needs. In CHRIST’s Precious Name, we call forth all the spiritual blessings with which He has already blessed you in the Heavenlies to manifest from this moment onwards right now here on earth! Abba Father sings His Song of Love over you and surrounds you with songs of deliverance. He will rejoice in His Love for you and give you all His deep Peace. He is the Way Maker… Praying for you to experience His wonderful healing, provision and rest for you all. Hi brother Hugo. I am sorry I have not been able to reply to your email yet. My mother got hurt and I’ve been taking care of her the last few days and have not been able to get in my email. But brother, please know that the tithe needs to go to the storehouse according to Malachi 3. If you attend a local church, then it should go to your local church because that’s where you’re fed. As much as we need and pray for every gift, I would be remiss in not telling you that because the promises in Malachi 3 are tied to bringing the tithes into the storehouse. And the storehouse is where you’re fed. If you don’t have a local church and you feel led to tithe to us, that’s fine and it will be a blessing. I used to tithe to Joyce Meyer Ministries before I had a local church, because her teaching really fed me and I listened to her all the time. I don’t know your circumstances or if you have a local church, so the Lord will lead you. I do appreciate you and every gift is a blessing. But I want to make sure everything is in order for you to receive the blessings Papa promises in His Word, and it would be wrong of me to receive tithe if you’re fed somewhere else, because of what Malachi 3 says. Jamie, I first want to thank you for being so real and transparent about your situtations. I really appreciate this to know that there is still people who are willing to share and touch others’ lives by being real and know that God sees and knows and will use every situtation for his glory. Jesus is touched by the feeling of our infirmities and because he is touched, so are we. Father we thank you for showing yourself strong on her and her families behalf. I decree and declare total healing to her body. I bind stress and trauma to her body in Jesus name. Father your word says that whatever we desire when we pray believe that we receive and we shall have. So our desire is for the manifestation of divine health and healing to Jamie, her baby, and her mom’s body. Healing belongs to us so we lay hold on this promise and no weapon (fear, unbelief, denial, delay, hindrance, doubt) shall be able to prosper because your promises are yea and amen. We declare a release of unexpected finances to follow and overtake them in Jesus name. Amen. Amen, i touch and agree in Jesus name. Praying Psalm 91 over you, your husband and precious Elijah. Thank you Jamie for your heart for God. You have been an encouraged to us. May God Almighty show favor on you. Dear sister Jamie, you are such a blessing to me and so many people, you are also a trooper and a great testimony of faith and strength. May the Lord grant you the answer to all those prayers above and fill your heart with exceeding joy. May our God continue blessing you and family. I agree with others in prayer for your personal healing, for your baby and for your finances, both personal and concerning your ministry. Please do not ignore your own health needs with the needs of your baby and mother’s going on. I pray for total healing concerning the ligament issue and the stress fractures. Stress fractures are nothing to fool with. I am still recovering from tendonitis type things because I walked on one undiagnosed for a couple of months last year before the proper test was ordered…. I am doing much better just using a cane (I smashed the walker…literally a couple of weeks ago…:-)…. ), but …please address this…. and ….don’t ignore it ….even with so many others’ needs on your plate. I addressed it, but didn’t get the help I needed and have had to deal with unnecessary pain and a longer recovery than needed because of it. I say this in love and very strongly! Do not put yourself on the back burner…! And I thank God for prayers that were spoken for me when I wrote about it. God is our Healer, and He does not want us in pain. And I am much better. Looking forward to the cane going into the trash and waking up and this will be only a memory that will only be mentioned as a testimony of God’s healing, not “my story” as it will not be “my story”. God healed me of a rotary cuff shoulder strain that went on for months about 15 years ago, woke up one morning and it was purged into the abyss from whence it came and has never been an issue since. Dear Jamie, i pray that God infuses you with super strength and comfort at this time. By the stripes of Jesus Christ, you are healed from every pain in your body including your mum. This is your time of joy and nothing will take that away from you. All of this is for Gods glory. he will surely bring you through.Elijah is a blessed child , he shall bring you and your family joy always. Our Dear Father shall provide for all your needs in the name of Jesus Christ, Amen! Remain blessed and encouraged. Love you.